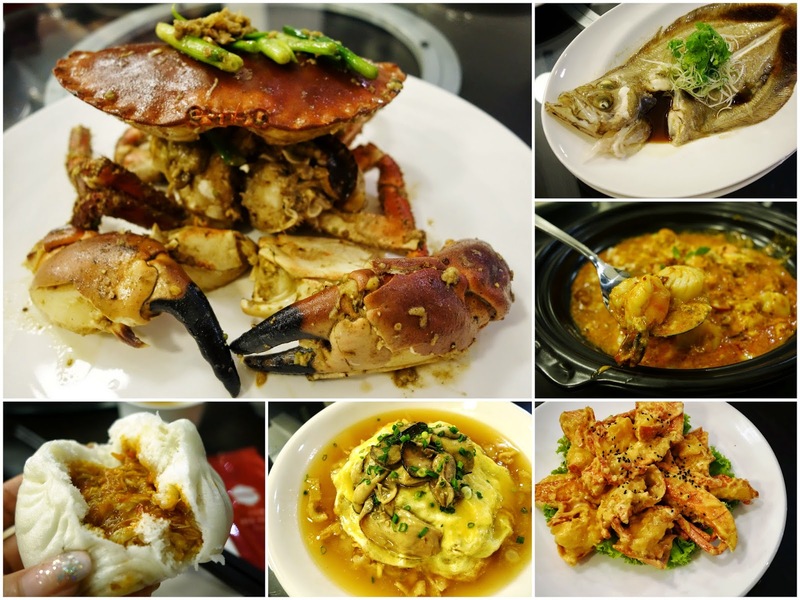 PinkyPiggu: Red House Seafood Restaurant 小红楼 @ Prinsep Place ~ Their 38th Anniversary Menu Showcases The Very Fresh & Best! Red House Seafood Restaurant 小红楼 @ Prinsep Place ~ Their 38th Anniversary Menu Showcases The Very Fresh & Best! Ooh scrumptious seafood always get a salivating "yes" from me, and when it comes from Red House Seafood Restaurant 小红楼, the "yes" becomes more intensified as any culinary experience at this well-loved establishment is always a gratifying one to look forward to. Serving up delectable Asian seafood fare and Singaporean favorites since 1976, Red House has recently introduced a host of new dishes and two celebratory set dinners at its flagship Prinsep Street outlet, available from now until 30 June 2014, in celebration of its 38th anniversary. The two celebratory set dinners features enduring Red House's best dishes such as Sri Lankan Chilli Crabs, Drunken Prawns and Garlic Steamed Scottish Bamboo Clams for their "Signatures" menu, as well as new dishes created from a bounty of fresh sustainable seafood specially sourced and flown in three times a week from Scotland for their "Modern" menu. Priced at $388++ for six persons, each 7-course set dinner also includes a bottle of Champagne (Perrier-Jouët Grand Brut) or white wine (Domaine Leflaive Mâcon-Verzé 2010) or two jugs of Tiger Beer. Eat, drink and be merry! Perfect for any joyous occasions, and if you're looking for a suitable place for the upcoming Mother's Day meal, Red House is highly worth your consideration. I say this because I've tried the dishes from the "Modern" menu and everything was delicious! The dishes are also available individually, but as you can see from the ala-carte prices listed here, ordering the set menu makes it a much more worthy deal. 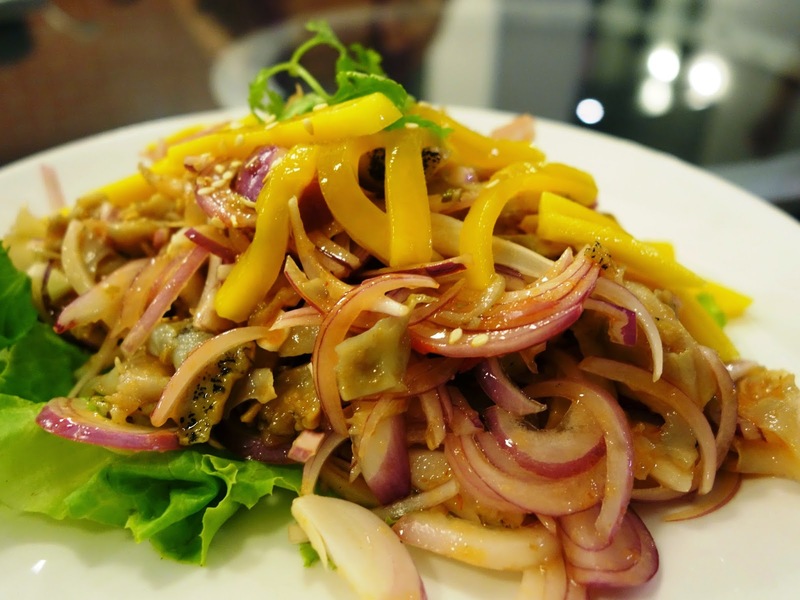 Our hearty dinner commenced with Chilled Spicy Whelks ($35) tossed together with mango and onions in a sweet and spicy Thai dressing. The amount of onions used was a tad overwhelming but overall, the starter was refreshing and certainly an appetite whetting prelude to the dishes that followed. In life, the Scottish Blue Lobster ($148 per kg) is really blue, only becoming red upon cooking! Hailing from the pristine waters of Scotland, it is reputed for its superior quality over other species of lobsters. Indeed, its flesh was excellent with a firm bite! The coat of creamy sweet mayonnaise complemented it well, and was so lip-smacking good, it's impossible to resist licking every bit of sauce clean. A choice of either Spicy Seafood Combination ($28/$42/$56) or Garlic Megrim Fish ($100 per kg) is being offered for the next course. Tough decision to make, because we seldom get to taste the Megrim Fish, an uncommon flat turbot fish which just needed a simple steam with garlic and splash of quality soy sauce to accentuate its delicate flavors and silky meat. But the luscious seafood medley of prawns, scallops, cuttlefish and garoupa fish slices is also not to be missed! Richly flavored in a Thai-inspired kaffir-laced curry gravy, it was moreish and beckoned for a side serving of mantous (Chinese deep-fried buns) to soak up every drop of spicy, tangy shiokness. You might say it makes more economic sense to choose the Megrim fish. I say, choose the fish and order the seafood ala-carte too. Savor the best of both worlds! Next, we said hello (or is it goodbye?) to Scottish Brown Crabs ($58 per kg) which traveled a long distance from Scotland to end up being steamed or cooked in white pepper as gastronomic delight for us. The white pepper version we had was a wondrous enjoyment! It was meaty and succulent, I can taste the crustacean's apparent freshness and natural sweetness in every bite. Simply love it! Oyster 'Yuan Yang' Hor Fun ($20) takes the zhi char staple to sensuous heights with a bed of huge plump Scottish oysters. Admittedly, oysters are not my thing so I'm more drawn towards the blissful textural marriage of aromatic wok-fried and crunchy deep-fried swirls of flat rice noodles which lies beneath that soft fluffy omelette. Comforting, familiar yet with not so familiar with fresh burst of surprise. Nice! Both 38th anniversary set dinners will end with a last savory course of Daily Greens, followed by desserts such as Chilled Lime Sherbet with Lemongrass Jelly ($6.80) and Chilled Mango Pomelo with Sago ($4.80). But you wouldn't want to leave Red House without making an additional order for these warm pillowy soft Steamed Chilli Crab Bun ($8 for 3pc) too. Do make tummy space for it, and be filled with yummy joy! Red House at Prinsep Street also serves up a new daily 5-course set lunch at only $38++ for two persons. With a basket of Dim Sum favorites (siew mai, mixed mushroom dumpling, scallop & chives dumpling, char siew pau), as well as Creamy Custard Prawns, Oyster 'Yuan Yang' Hor Fun, Daily Greens and Durian Mochi all included, it looks set to woo working professionals with its great value and affordability. I've enjoyed the dining experience at Red House tremendously, and its centralized location in the heart of town makes it convenient to visit again for its impressive array of enticing dishes.